Make art your New Year’s Resolution! 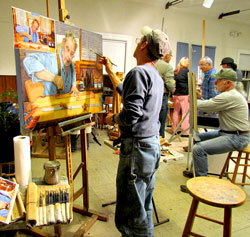 Join Instructor Mary Ann Hess every Sunday from 2pm – 4pm for an art class at the Hive Gallery in Trolley Square. Class time: 2pm to 4pm, for just $10.00. All materials are included.